When Louis van Gaal arrived to manage Manchester United in May 2014 he described the club as “the biggest in the world”. He wasn’t mistaken as the club has the largest number of worldwide fans, one of the best-known stadiums, and can include three of the greatest players in the history of the game – George Best, Denis Law and Sir Bobby Charlton – amongst its unique roster of club legends. It also had in Sir Alex Ferguson, the greatest British manager of all time, whose tally of 38 trophies included 13 Premier League titles and two Champions League crowns. 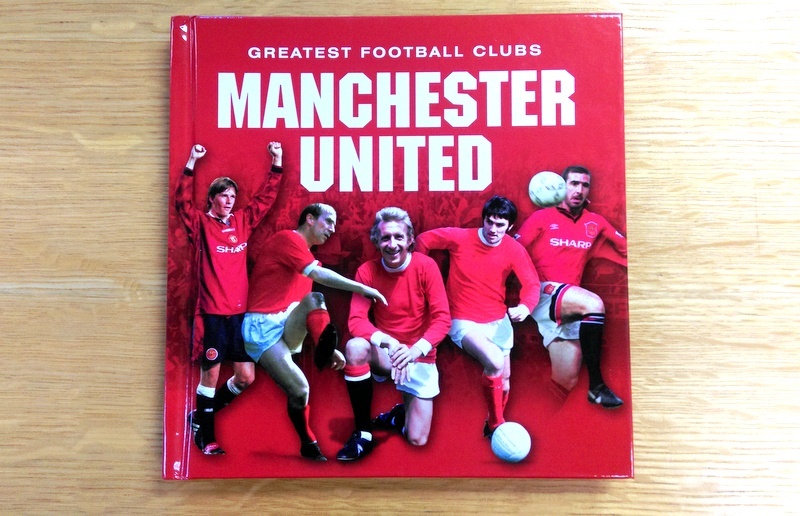 This little book offers an affectionate glimpse of the great players to have graced Old Trafford from Duncan Edwards and the Busby Babes through to the modern superstars such as Ryan Giggs, the club’s longest serving player, and Wayne Rooney. It also lists the tragic events such as the Munich air disaster and the great triumphs such as the club’s first European Cup win at Wembley [Stadium] in 1968 and the Treble of 1999 in which they won the Premier League, the FA Cup and the Champions League. Shoot are giving away this brilliant book to one lucky winner! So what are you waiting for? !